We can see landscape architecture all around us, but there are some very unique and successful works made by the best landscape architects. Those are very creative and at the same time technically correct artworks that look really incredible and at the same time they show the diversity of landscape architecture. 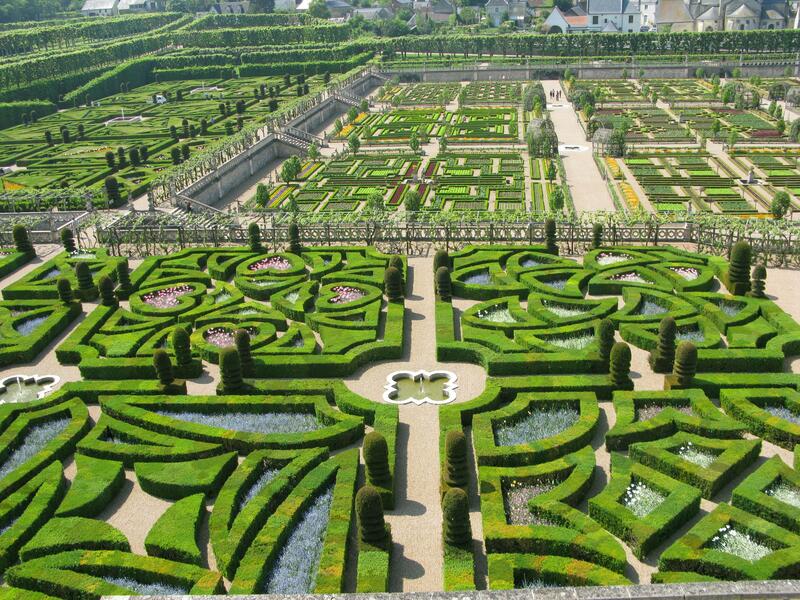 Let’s start with very famous work – The garden of Louis XIV in Versailles, France. It is one of the most popular gardens in the whole world. It was created for king of France Louis XIV. The architect who designed it was Andre Le Notre. It is typical work of landscape architect – huge garden with symmetrical sand paths that goes through perfectly shaped and decorated lawn and cropped bushes and trees. Of course, this one is very extensive work that has also historical value and it shouldn’t be called typical. Next one is Columbus Circle. It is named after famous explorer Christopher Columbus. Actually it a simple traffic circle located in Manhattan, USA. It is special because of two reasons – it is located exactly in the center of the New York, or at least all the measurements are made by it and it has very interesting architecture. The designer of it is William Eno, who is not even an architect. He is a businessman who pioneered many early innovations in road safety and traffic control. However, this project has won many awards. This circle is decorated with many fountains, trees, sculptures and monument right at the middle. This composition together makes the feeling that it’s a centre of the whole universe. Then we should mention the National Arboretum in Canberra, Australia, made by Taylor Cullity Lethlean and his partners. It is a collection of endangered tree species. These trees come from all over the world, so it is also technically very complicated work. This project has not only aesthetical value, but also environmental. It brings attention to such problems as loss of biodiversity and sustainability. It is possible to visit this arboretum and admire all the tree species that are almost extinct. This project has won many awards not only for architecture itself, but also for the care of environment. Next one in this list is Zen Garden in Kyoto, Japan. This garden is designed by Chisao Shigemori. Those who are familiar with landscape architecture might have heard this surname before, because also his grandfather Meri Shigemori was very famous landscape architect. Chisao Shigemori has many successful projects, but this is the most unique one. It is typical Japanese rock garden with small miniature tees, small rivers, rocks and sends, but it is has some untypical forms and elements in it. It is symmetric and harmonic. The last one is park in New York, USA, created by Diller Scofido Renfro. It is a small park in the city that contains of simple grass and trees, but the uniqueness of it hides in the idea. In this project the main idea is to bring little vegetation in the big city of New York. That is exactly what it does. Those are only some randomly picked examples, but there are so many good projects of the landscape architecture. In some the main aspect is the idea, in some the aesthetical value and in some the technical performance, but these projects really makes the everyday life a little bit more beautiful. Our mission is to inform you about all the news and trends in industry of architecture. From information and guides, newest designs to best looking concepts, we have got it all covered.